COMP Cams Nitrous HP Hyd. 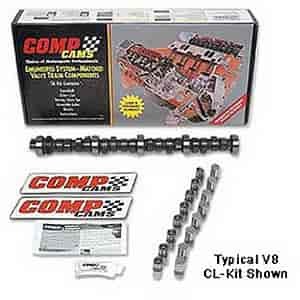 Roller Cam and Lifter Kit Chevy Small Block 305-350 1987-98 O.E. Hyd. Roller Cam Lift: .520"/.540"
175+ Nitrous system. 2500+ stall with lower gears and headers.